Will your fleet set a trap for your enemy? Or will you find your ships ripped out of hyperspace by your enemy's gravity-well projectors? 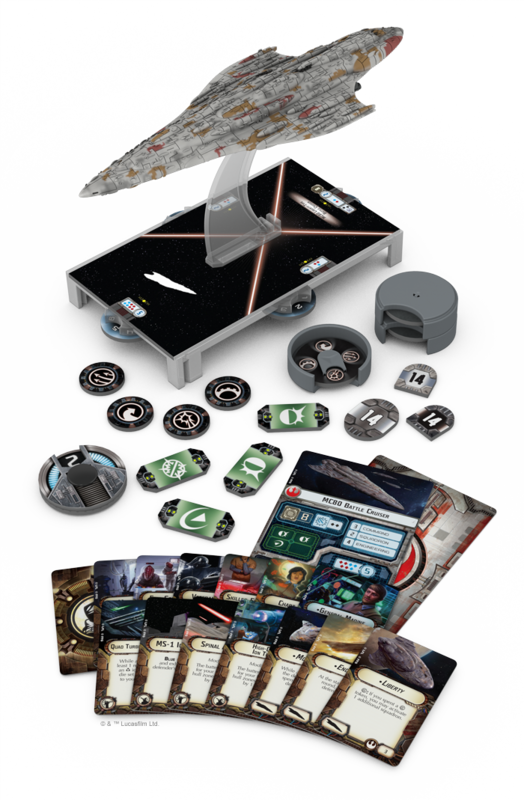 Fantasy Flight Games is proud to announce the upcoming release of the fourth wave of expansions for Star War™: Armada! Featuring two new, fleet-defining ships, one each for the Rebels and Imperials, Armada Wave IV is your chance to harness the power of gravity well projectors, grav shift reroutes, massive forward-facing Rebel guns, and other powerful, new technologies. Use them to set traps for your opponents. Engage the enemy on new terms. Amplify the strategic importance of your objectives. And alter the very shape of the battlefield. With its new ships, strategic adjustments, and Experimental Retrofit upgrades, Armada Wave IV does more than just add new ship and commander options; it presents you all-new ways to enjoy the fleet battles you love! The Interdictor cruiser was designed as a major part of the Empire's response to the elusive Rebel threat. Although its shape resembles that of a Star Destroyer, the Interdictor is smaller, and it sacrifices the Star Destroyer's focus on shields and firepower in favor of advanced gravity-well projectors that are capable of wrenching enemy ships out from hyperspace. 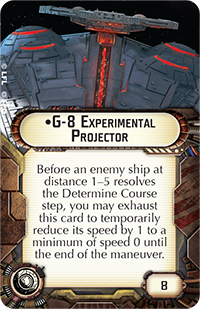 When an Interdictor is deployed along one of the galaxy’s hyperlanes, it can spell doom for any unsuspecting Rebel captain, cutting off the Alliance’s vital escape routes and strangling the galaxy’s last hope for freedom. In Armada, the Interdictor is a solid, medium-base starship that is in some ways comparable to the Victory-class Star Destroyer. However, the similarities are mostly superficial, and any extended exploration of the Interdictor will reinforce how much its design centers around its Experimental Retrofit upgrade. After all, the Interdictor Suppression Refit costs you five fleet points more than the most expensive basic Victory-class Star Destroyer, the Victory II. Still, for those five extra fleet points, you lose two dice from your forward battery armament, as well as one point of shields each from both your left and right hull zones. 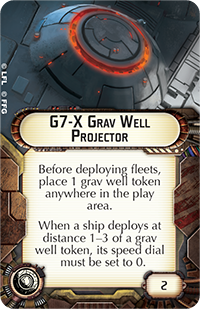 What you get in return, though, is an unprecedented ability to impact the battlefield and the game through the use of Experimental Retrofits like the G-8 Experimental Projector and G7-X Grav Well Projector . 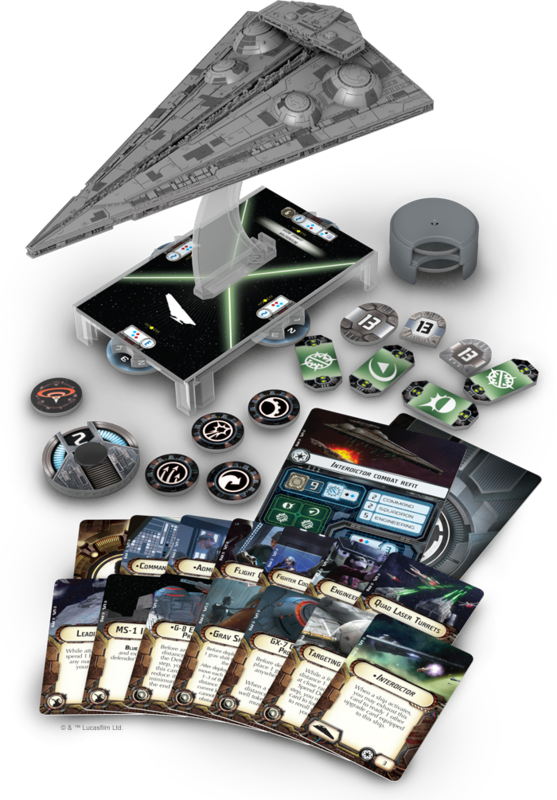 Naturally, as the Interdictor is bound to make significant use of its upgrades, the Interdictor Expansion Pack comes with fourteen upgrades in addition to its two ship cards and pre-painted miniature starship. You will also find a rulesheet and all necessary tokens and command dials. The MC80 Liberty type Star Cruiser is the spearhead of the Rebel Alliance’s fleet, and its namesake ship is both renowned throughout the Alliance and infamous throughout the Empire. 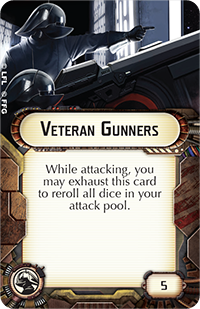 The Liberty boasts some of the heaviest firepower in the Rebel arsenal. Due to this impressive firepower, the ship's powerful forward shielding, and its ability to dock multiple fighter squadrons, the Liberty is often among the first ships considered to lead Rebel strike forces into combat-likely raids within Imperial territory. Like the Home One, the Liberty enters Armada as a large-base ship with eight hull. However, beyond their similarities in size and hull and the fact that both ships were of Mon Calamari design, the Home One and Liberty are about as different from each other as can be. Whereas the Home One is a broadside ship with six dice in its left and right battery armaments, plus four shields each on its left, right, and forward hull zones, the Liberty is built to charge directly into battle. It features seven dice in its forward battery armament, plus five forward shields. Moreover, its upgrades are more offensive in nature than those on the Home One. Accordingly, the Liberty presents the opportunity to experiment with all-new Rebel tactics, such as those you might employ when you use the Liberty to lead a fleet of Nebulon-B frigates directly at your opponent. Naturally, many of the expansion's fourteen upgrades also support this new Rebel play style. 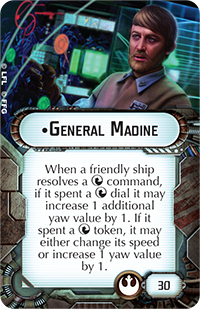 For example, General Madine ensures your fleet retains the maneuverability it needs to keep its guns aimed at the enemy, and a team of Veteran Gunners provides additional insurance that your powerful attacks will strike for maximum value. "Traveling through hyperspace isn’t like dusting crops, boy! Without precise calculations we could fly right through a star or bounce too close to a supernova, and that’d end your trip real quick, wouldn’t it?" It takes more than firepower to win the fleet battles of Star Wars: Armada; it takes a coherent strategy that makes the most of every ship and squadron in your fleet. As fleet admiral, it is your job to ensure your fleet is built with that strategy in mind. Will you charge headlong at the enemy? Will you field a lighter force in order to make your way to the battlefield early and lay traps to snare your foes? Much of the strategic richness in Armada revolves around the way it forces you to keep one eye toward your objective and the other toward your enemy's ships. Arm your fleet to win the galaxy's greatest battles. Armada Wave IV is scheduled to arrive at retailers late in the third quarter of 2016!